Karina Baymiller dropped 50 pounds of fat, but her transformation didn't stop there. This Cellucor athlete is determined to get better, stronger, and more athletic. Follow her full fitness plan! Growing up, Karina Baymiller was the girl next door. She played soccer, participated in cheerleading, and enjoyed high school like most other kids. 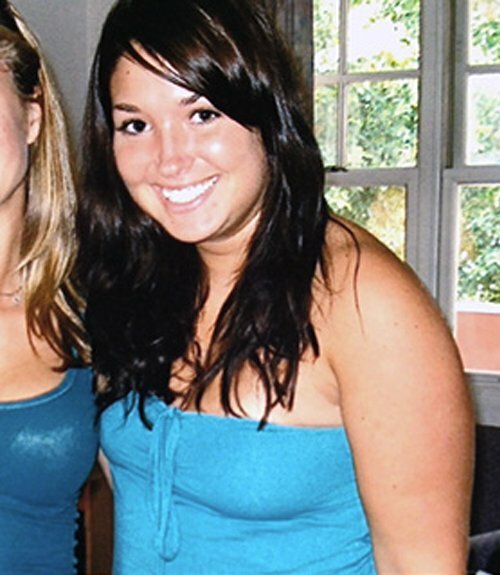 She gained the typical "freshman 15" during her first year of college, but she made sure it didn't last. After 10 pounds of initial weight loss, Karina realized that healthy is better than heavy. She completely changed her lifestyle, her body, and her mind. She's never looked back. Karina made it to the final round of the 2013 BodySpace Spokesmodel Contest. Since then, she continued to refine her physique and is now a Bodybuilding.com and Cellucor-sponsored athlete. Karina lives and loves fitness, whether she's repping out heavy squats or churning through high-intensity cardio. If you want to look like this rising fitness star, you've got to train, eat, and supplement like her. Luckily, we have her full plan! After losing 50 pounds and completely overhauling her lifestyle, Karina Baymiller jumped head-first into the fitness industry. She was featured as a Bodybuilding.com Female Transformation of the Week , was one of the Top 12 Transformations of 2012, and made it to the finals of the 2013 BodySpace Spokesmodel Contest. "I was flown to Los Angeles for the LA Fit Expo, I placed second in the BodySpace Spokesmodel competition among an amazing group of people, and had the experience of a lifetime!" Not only has Karina's transformation helped her become an important voice in the industry, she also uses it to inspire people around her. Today, Karina works as a personal trainer and online health and fitness coach out of Cleveland, Ohio. "I absolutely love being able to spread my knowledge and experiences to help people transform just as I have." Karina insists on high-quality products with very few fillers or unnatural ingredients. Find out what she uses and when right here! Besides looking incredible, what's your favorite part about being fit? Feeling invincible! Well, maybe not invincible, but pretty damn close! I feel so much better mentally, physically, and emotionally than I did when I was overweight. I feel like I can do anything that gets thrown my direction, tackle it head on, and win or lose, come out feeling accomplished. If someone comes to you looking for a way to get started, what do you say? First off, just start! You don't have to know exactly what you are doing to get started. I had no clue what I was doing. I messed up 1,000 times, learned everything along the way, and fine-tuned as I went. Second, find out what works for you and your body. This is a huge component of fitness. It took a lot of trial and error before I found the right combination of diet and training, but eventually, it worked. I paid attention to how my body felt and responded to particular workouts and food. I could tell the difference between good decisions and poor ones. Finally, give it time. I work with a lot of people who stress out when they don't lose 10 pounds of fat in the first week after changing their diet and exercise. Relax! It took me more than two years to lose 50 pounds and change my body completely. You have to be patient and trust the process. It will come. Your determination will definitely be rewarded! It's your last meal on earth. What do you eat? My last meal on earth would definitely be a Mexican feast. None of this Taco Bell crap, but a real, authentic meal. I'd feast on chips, salsa, guacamole, quesadillas, carne asada, carnitas, fish tacos, rice and beans, drink horchata and margaritas, and follow it up with crazy amounts of chocolate and ice cream for dessert. Hey, it's my last meal on earth, right? Gotta get it all in! What is your absolute, all-time favorite exercise? It's so hard to choose just one! I have to say it's a tie between squats and deadlifts, which is probably why they're the only two exercises I'm brave enough to do five sets of. There's just something about doing really heavy squats and deadlifts that makes me feel like a badass!